1. Hazard (1981-1983) was a pop, rock band from Slovenia http://www.hazard.si/ 2. Hazard is a romanian folk/rock band. 3. Benny Jonas Nilsen, a.k.a BJ Nilsen, born in Nyk?ping Sweden in the mid seventies and now living in Stockholm. Nilsen began working with experimental music and sound at an early stage. He was influenced by the early tape movements with the pioneers of sonic assault and released his first recordings at the age of 15. 2. Hazard is a romanian folk/rock band. 3. Benny Jonas Nilsen, a.k.a BJ Nilsen, born in Nyk?ping Sweden in the mid seventies and now living in Stockholm. 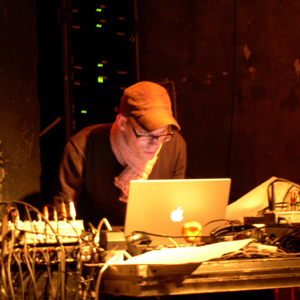 Nilsen began working with experimental music and sound at an early stage. He was influenced by the early tape movements with the pioneers of sonic assault and released his first recordings at the age of 15. In 1996 after he stopped with his project Morthond, where he played bass guitar he founded project Hazard. Since then he has focused on the sound of nature and its effect on humans, field recordings and the perception of time and space as experienced through sound. The Baltimore based label Malignant released a very dark Hazard ?Lech? album in 1997 and due to that album and a few releases (?Wind?, ?Wood c/w Bridge/Field? and ?North?) on Ash International, Hazard gained an enormous reputation among fans of ambient-industrial. Being in a creational process, Nilsen also collaborates with other famous electronic music masters, such as Phil Niblock who was co-assisting him in a performance in New York, also Biosphere and Z'ev. Nilsen together with Chris Watson, the legendary founder of Cabaret Voltaire and former member of Hafler Trio, have being recorded storms by the seacoast of England that should be a keystone of the sound of new album. Nilsen is practicing in searching of new sound signals for mobile phones and recording sound for documentary. One of his works is the sound for the film ?Kochuu? created by Jesper Wachtmeister in 2004. 6. French Canadian progressive rock band that released a single in 1974 called "Le Chemin de l'oubli".